Good food is at the heart of happy, healthy communities, bringing people of all ages together. Soil Association Scotland’s Food for Life Scotland (FFLS) programme works to transform food culture and put good food on the menu, in the curriculum, and in all the places people live their daily lives. In late 2015, FFLS set up an intergenerational project in Edinburgh which focuses on two settings – Inch View Care Home and Liberton High School. Both venues come under the management of the City of Edinburgh Council and both already have a commitment to good food through the Food for Life Catering Mark award. 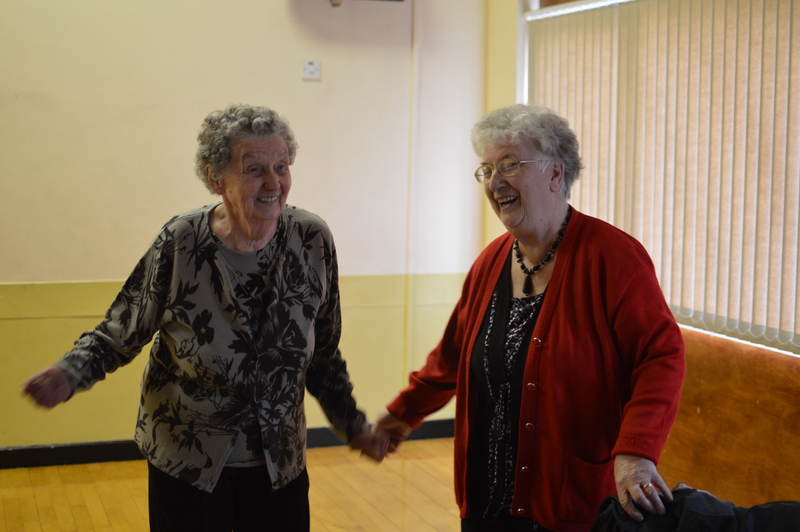 When the idea of an intergenerational project was introduced, the school and the care home were enthusiastic. Both were keen to use the journey of their food –‘from soil to plate’ – as a basis for learning, sharing, and celebrating together. Building a wheelchair-accessible polytunnel at Inch View has been one of the key projects. Volunteers helped with the construction and pupils from Liberton built its doors as part of their Craft Design & Technology work. Produce will be used in the home’s kitchen as ingredients for residents’ meals and scraps will also go to feed the home’s chickens. As part of a dementia prevention project, Inch View decided to create a recipe book which involved residents reminiscing about childhood memories of food. The school’s art department ran a competition with S2 to design the cover, and pupils are now planning to produce the whole book, including illustrations. In March 2016, a daffodil lunch was held at Liberton High School. Pupils from the school’s Food for Life Action Group worked with their school cook to look at nutrition for older people and consider what dishes they might like to eat. Pupils designed invitations, menus, prepared the tables and cooked up a fabulous range of dishes for their special guests from Inch View. Three generations sat down to eat together, sharing their experiences and getting to know each other. Future events being planned include a strawberry tea and harvest event in autumn, as well as the on-going sharing of produce grown in Inch View’s polytunnel and the school’s raised beds. One pupil from Liberton has been inspired to consider a career in catering and another pupil who has expressed an interest in care work has been offered work experience at Inch View. The project has been a real team effort, it’s a great example of generations working together and celebrating through food. Sporting Memories is a charity that works to support older people living with dementia, depression and loneliness by tapping into their passion for sport. 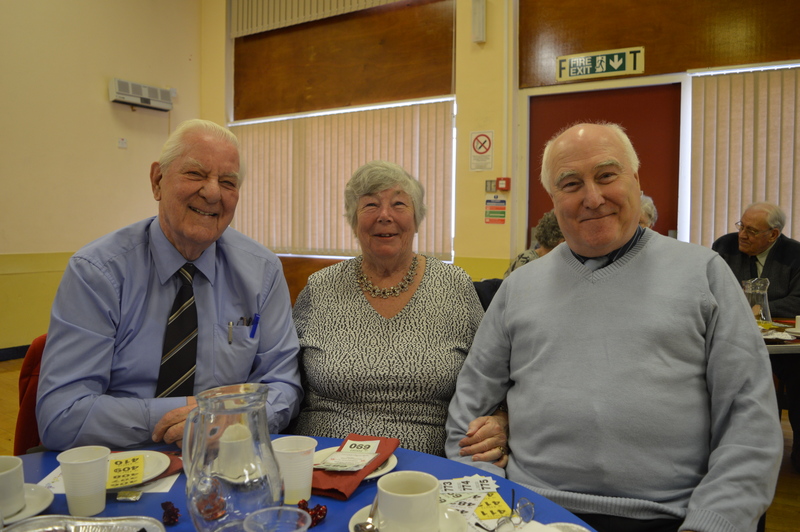 Through encouraging people to share memories of sporting moments, the charity helps people to connect with others and with their past. Will Searle from our Communications team visited the Sporting Memories Group in Belshill-Orbiston to meet the group and find out more about their work. Once the group is settled around a large table with their cups of tea, Norrie Gallagher, one of the two organisers, starts us off. An old leather football is given to a member who shares a story of a football match they attended. The ball is then passed around the group, with whoever holding it sharing a memory of their own. Norrie expertly goes around the room to see if it has struck a chord with anyone – do you remember that match? Have you been to an International? Everyone has their chance to say their bit and bond with the group. Norrie leads the conversation, ensuring everyone who has come along is engaged and taking part. It’s great to see attendees who were quiet and withdrawn when they first came in, come alive reminiscing about their love of the beautiful game. At one point, someone pipes up with the question – “Did I tell you my memory from Wembley? 1977…” And so comes a great story from when Scotland beat England 2-1 at Wembley. Fans had been told that the grounds were being re-turfed after the match and celebrating Scots took to the pitch to get their own piece of turf. The man telling the story recalled watching this all unfold and asking a fellow fan, who had his arms full of turf, what he was going to do if he was “stopped by the bobbies”. The fan’s response was that if the police stopped him, he would say it was his brother’s grass and he was just looking after it while he was on holiday! This was just one of the many great stories filling the room with laughter over the course of two and half hours. There was good-natured banter about Lisbon Lions and Rangers Bears, memories from the war and a quiz about football team names. It was great to see just how much this activity helped to make those who came along open up. What was also evident was the amazing camaraderie and how the youngest members were supported by older members, first timers by seasoned regulars. Sporting memories groups are also not just great social activities, but have been really positive activities for people with dementia. The Sporting Memories Network even won Best National Dementia Friendly Initiative in 2014 by Alzheimer’s Society. As Norrie and his colleague Margo were tidying up, they told me more about how the group works. They really emphasised how they couldn’t keep running the group without their valued volunteers. So if you love sport and are looking for a really rewarding volunteer opportunity check out www.sportingmemoriesnetwork.com to see what groups are operating close by. 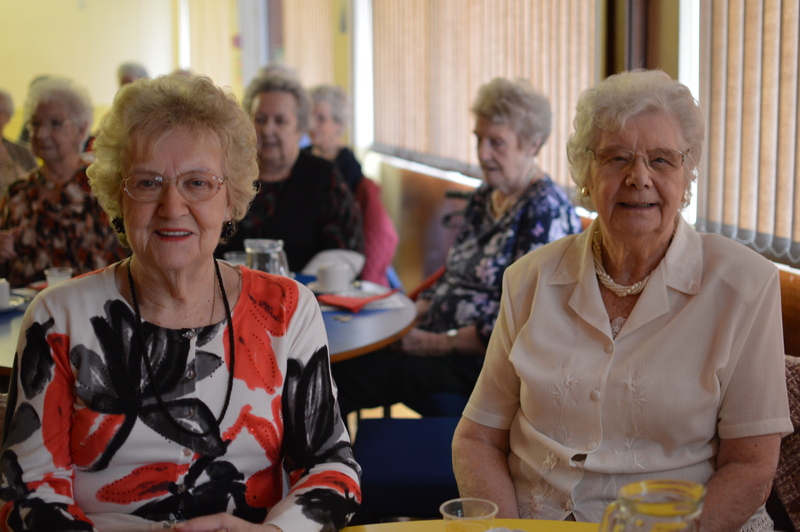 Amy Telford, our Events and Community Fundraiser, shares her recent experience visiting some of our Member Groups and seeing firsthand the fantastic work they are doing in their local communities with help from Age Scotland. 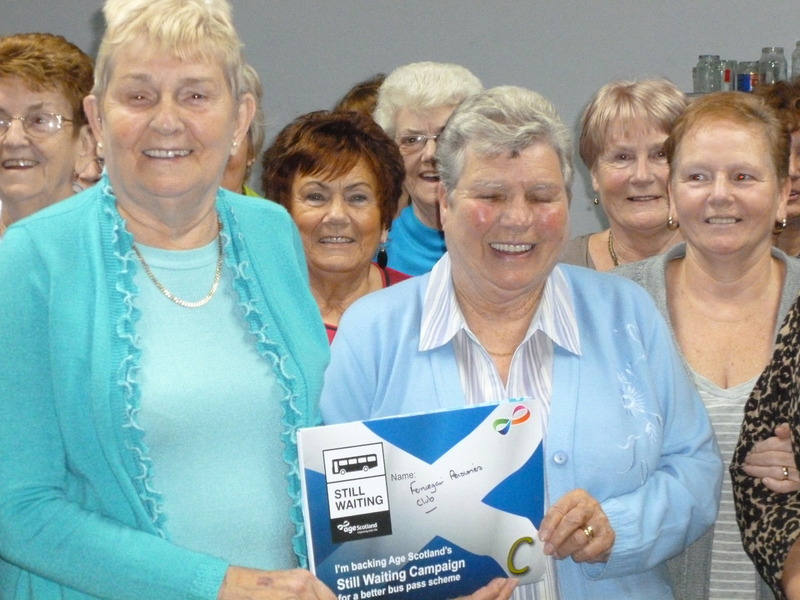 I was recently lucky enough to meet with four ladies who form the committee for Age Scotland member group, The Carron Connect Partnership. They run SOFIA Project, organising social events in the local community for people over the age of 50. I was bowled over not only by their commitment to helping those in later life, but also by their support of Age Scotland. Chair, Val Hunter, told me that they would love to do some 50/50 fundraising this year as they “…appreciate all of the support that Age Scotland has shown them and want to give something back.” This was so lovely to hear. I was made to feel really welcome and was treated to a can of Irn-bru and an iced biscuit – I try to eat healthy most of the time but this was the perfect excuse to have two of my favourite things! I even had a dance with one of the members, although I can’t say I was any good at this. Live music was provided by singer, Katy Hart, who had a lovely voice and kept us all entertained. As well as tea dances, the SOFIA project committee members also organise coffee mornings, bingo, day trips and special events, such as this year’s strawberry fair (where there will be a prize for the best bonnet and bunnet), a Scottish Evening and the annual Christmas party. I also recently visited a member group in Edinburgh, the social committee at sheltered housing development, Old Farm Court. Age Scotland’s Individual Giving Fundraiser, Alison Payne, accompanied me and we had a lovely visit. We met with three members of the committee who organise social events for residents. Jimmy, Diane and Ellen made us feel very welcome and we were amazed by the creativity of their fundraising. I think we actually learnt a thing or two! Old Farm Court have offered to organise a Soup and a Sandwich event in aid of Age Scotland. It is really lovely that they want to give something back and we are incredibly grateful. I am so much looking forward to working with more of our member groups in the coming year and having met just a couple of groups since I started, I feel incredibly proud to work for such a fantastic charity. This Friday, 25th October, Age Scotland’s online petition calling for action to end isolation among older people will close. Campaigns officer Doug Anthoney reflects on the campaign’s progress and next steps. In February we launched the Still Waiting campaign; which calls for action to stop older people becoming lonely and isolated due to lack of suitable transport services. If you haven’t already signed our online petition, please don’t miss your chance to do so before it closes. So far we’ve succeeded in putting the transport problems faced by many older people high on the political agenda. 38 MSPs signed up in support of the campaign; more than a quarter of the Scottish Parliament, including the leaders of each opposition party. Many of these MSPs backed our call for action during a Parliamentary debate on Still Waiting . The campaign was also reflected on by MSPs on the Scottish Parliament’s Infrastructure and Capital Investment Committee during its inquiry into community transport services. They agreed with us that it was unfair that older people who are unable to use regular bus services, due to disability, ill-health or geography, end up out of pocket while their peers enjoy free travel. But we’ve not yet succeeded in convincing the Scottish Government to adjust the National Concessionary Travel scheme so that older and disabled people can use their bus passes on community transport services. Ministers say that demand and costs could prove too great, given our ageing population. We say that, given our ageing population, the cost of inaction is even greater as older people who become isolated from their community are more likely to suffer ill health and need residential or hospital care. Community transport services provide a lifeline for older people who can’t use mainstream buses, but themselves need a funding lifeline if they are to thrive and meet growing needs. The Government is considering additional funding for community transport vehicles, which would be welcome, but won’t in itself secure the future of these services. Including them in the National Concessionary Travel scheme offers a more sustainable, long term solution. So please sign the petition before next Friday, and encourage your online friends to add their support.